I hope you’ve had a chance to read Trevor’s 2 excellent posts over the last few days dissecting the issues of freedom and religion. If you haven’t yet, I highly suggest you take a few minutes to do so. There’s so much good material there to consider and help you think through the issues. We’re talking about a complicated topic this week. Considering the firestorm in recent weeks over Indiana’s “Religious Freedom Law”, I’m sure you’ve heard voices from all over the spectrum lobbing their opinions into the public arena. And while we don’t want to add to the cacophony of contentious debate on the issue, we do want to thoughtfully consider our words and actions on the subject. Because this is important stuff. And for Christians, it has everything to do with the gospel. Our initial reaction to almost any situation is to first consider how it affects us. This is simply part of the human condition, a natural piece of our survival instinct. The hope, however, is that as we grow and mature as people that we are able to take a wider view and consider how something affects others. To see beyond ourselves. 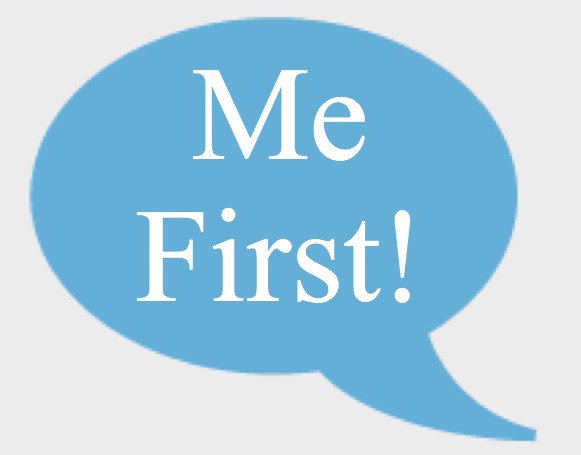 Our nature and our culture have nurtured a very “Me First” approach to life. The call of Jesus, however, works against this in many ways. The path of Jesus is constantly outward. He calls us to see beyond ourselves and to consider the “other.” He challenges us to be aware of our neighbors and the hurts of those around us. To go further and seek out the marginalized, the downcast and the forgotten. Jesus was decidedly counter-cultural, both in his time and ours. When Indiana passed their “Religious Freedom Law”, the reaction was immediate and visceral. Although several states had passed similar laws, this one caught the attention of the culture at large. My Twitter and Facebook timelines blew up. The outrage machine was in full swing from coast to coast. People from many different areas spoke out to support those they felt the law oppressed, particularly those in the LGBT community. The response of the Christian community to that reaction was immediate as well. Christians spoke out in support of a law that they felt protected them. They were concerned that their rights were being taken away. Frightened that the government would overstep their bounds and impinge on their personal liberties. Worried that they’d be forced to violate their consciences. Not that those are not legitimate concerns. I get it. Some of it may even be warranted. But something about it has troubled me deeply. When our freedoms clash with those of others, this is vitally important to keep in mind. Our freedom is pretty shallow unless we are using it to set other people free. We’re simply not used to talking about freedom like this. We’re used to looking at it from a much more personalized angle. Or, to put a finer point on it, a much more selfish angle. A more “Me First” angle. Which is totally human. But as followers of Christ, we seek to be more than that. We want to be like Jesus. So in a situation as complicated as this, what can we do? What is the Christian baker or photographer or business owner to do with their freedom? How can we help others flourish in a situation like this? One where we perceive our own freedoms at risk? This is hard teaching, but so compelling that the world has picked up on its truth. How many times have you seen “Go the extra mile” as a slogan or rallying cry? And if the world recognizes the truth in Jesus’ words, shouldn’t his followers be the ones to show the reality of it in the fullest manner? You see, the number 1 thing that everyone needs from us, and I mean everyone — our next-door neighbor, the person I saw at the bank this morning, the family struggling to pay their mortgage, the person who sits on the same pew every Sunday in church and yes, the LGBT community — is love. To understand that they are valued. Because we believe they carry the image of the Creator. And they need to know that we are as concerned about their rights and freedom as we are our own. This has to be more than just lip service, but a commitment to making it a reality. So instead of worrying first about how something affects us, perhaps we can broaden our gaze and consider first the interest of others (even those who would sometimes wish us ill). To consider first what it means for the “other” before reacting for ourselves. Listen, I understand this is hard. I’m a white Christian male living in America. I have to work hard to understand the plight of the disadvantaged. Everything around me has been set up for my success. I have faced very few roadblocks. So I can attempt to understand the perspective of an LGBT person. I can try to see how it would feel to think that a law is passed specifically to limit my rights. But I don’t think I can empathize. Not really. It’s going to take patience and a lot of listening. But it’s possible. What I can do is try see beyond myself. I can extend love and grace as much as possible. I can lay down my concerns about my own freedoms and listen to those who feel oppressed and marginalized. I can listen. I can learn. I can go the extra mile to make sure they feel affirmed and loved. I think that’s much more than “Me First” Christianity. I think it’s the way of Jesus. This entry was posted in Easter and tagged Boundaries, Freedom, Gospel, Jesus, Life, Love, Loving the marginalized, Politics, Religion, Religious Freedom. Bookmark the permalink. ← True Religious Freedom Part 2: What Does Religion Mean to a Christian?